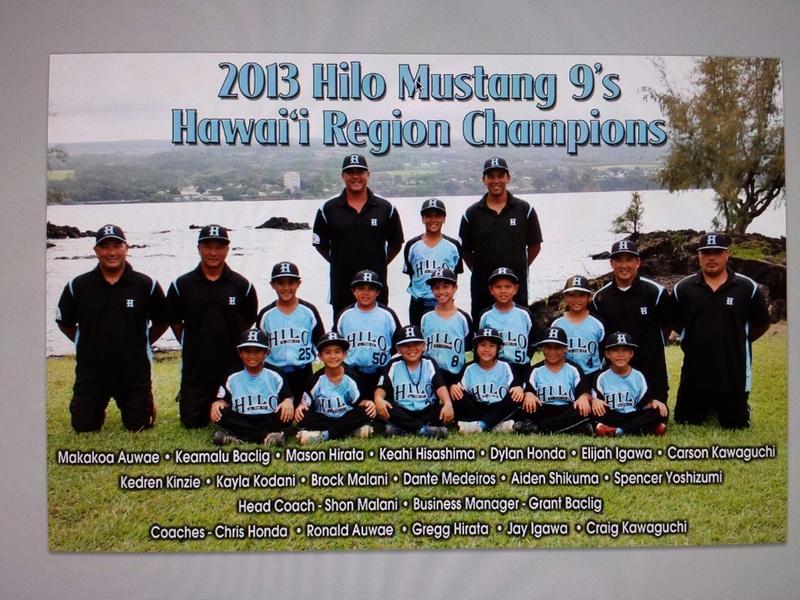 Congratulations to Coaches Shon, Grant and Ronald for capturing the 2013 West Zone Baseball Mustang-9 Hawai’i Region Championship! We wish them luck as they head to the Mustang 9’s West Zone World Series in Walnut, California July 19th through the 23rd. Good luck to our Hilo keiki as they now represent Hawai’i at the next level of play! We’re so proud of all your hard work, commitment & dedication! Go Hilo!